A four piece classic rock band with the panache and swagger of anything you would have seen at the time- Get your Rock n Roll 'ear! Rocking covers band providing awesome music that not everyone plays. Close your eyes and you’ll be back in The Cavern, Albert Hall, Marquee, Wembley or Red Rock. These Guys rock and know how to get your party started. Whether you like classic rock, soul, indie or rock n roll, JUST KIDDIN do it all and do it brilliantly. From Bon Jovi to Jam to Killers to U2 and The Stones, JUST KIDDIN cater for all occasions, pubs, clubs, partys, weddings and corporate. Charlies Aunt offer up some amazing Rock covers. ReMark was created in 2012 following a chance meeting at a jam night. Mark and Bex soon realised they had common musical interests and that they could (mostly) work together without murdering each other. Quickly scoring some repeat bookings in a number of venues, they were off and running. 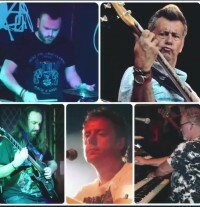 They have run a number of jam nights and often perform with some of their favourite people as a band, known as The ReMark Band (or ReMarkable!). They hit the 100 gig mark in just over two years, so must be doing something right! 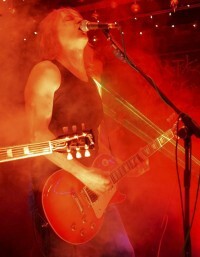 The Rising are fast evolving as one of the most highly regarded rock and pop covers bands on the circuit today. Playing all your favourites, classic and contemporary, The Rising’s powerful, energized performances never fail to get everyone rocking. Class covers band playing songs from Killers and Muse to Roberta Flack and Rhianna! FUBAR provide something different to other covers bands out there, check out Harlow Gig Guide for dates FUBAR are playing and come along and join them, you'll have a great night. Harlow Comedy Club returns with its May offering. This month Marcel Lucont, Kelsey De Almeida and the Raymond and Mr Timpkins Revue bring the laughs*! More info on these great acts can be found below. And of course your resident MC Paul Wade returns. As usual doors open at 7:30pm, with the show beginning at 8pm. Food will be available to pre-order at the start from The Rams Kitchen for service in the interval. Tickets are available now for £8 from www.wegottickets.com/theharlowcomedyclub (stbf) or in person from the Rugby Club, or for £10 on the door (subject to availability). *Line ups can be subject to change due to illness or other unforeseen circumstances. We specialise in creating a sound that will remind you of the days of your past when summers were long, dresses were long and hair was long too. Our set lists will remind you of those days you spent with your friends bringing records to listen to. Quality covers of crowd-pleasing Ballards - Include: Foo Fighters, Stereophonics, Green Day, Arctic Monkeys, Thin Lizzy, Deep Purple.. Goat Patrol was formed in 2007 when three pals, who had frankly nothing much better to do, picked up an instrument each and started making a noise which could be loosely described as music. After many evenings and weekends spent strumming, plucking and plonking away in a shed, recognisable tunes began to form and the boys were soon performing in local establishments to some acclaim. The Stolians are a three-piece covers band based in Herts & Essex. We’re all originally from Bristol, hence the name ‘Stolians!.